​Do you have that special someone in mind that deserves pampering? Let Us Deliver The Gift Of Luxury To Your Loved One Today. 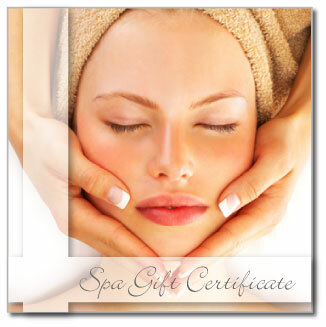 SPAradise Gift Certificates are the perfect way to show someone you care. Whether it’s a Relaxation Massage, our nourishing Body Treatment or a decadent Facial, we have something that’s right for every occasion. You can purchase an instant printable gift certificate online for any dollar amount or one of our packages. There is no expiration date for our Gift Certificates. Email or Print an Instant Gift Certificate Now! Instant Gift Certificates that you personalize and email to someone special automatically or print it yourself on nice paper, insert into your own card and create something special! To purchase a Spa Gift Certificate by phone, please call 604-771-8878. Or simply click the link below to purchase online. - After the first purchase you can place orders for additional gift certificates quickly with just a few extra clicks! - Although you may purchase gift certificates in lesser amounts, the minimum order size for personal bookings is $100 and for parties is $150.